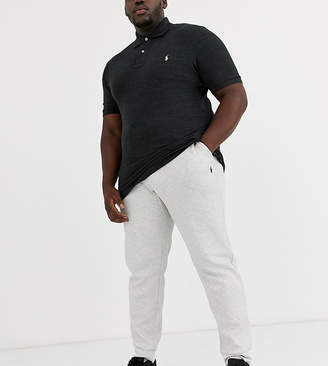 Big Tall j oggers by Polo Ralph Lauren, For your chill days, Drawstring waistband, With metal tips and eyelets, Side pockets, Polo player logo detail, Fitted cuffs, Regular fit, No surprises, just a classic cut. Naming his brand after a game that embodies classic style, Ralph Lauren created Polo Ralph Lauren in 1967 initially selling men's ties. Interested in longevity, timelessness and style, Polo Ralph Lauren has since grown into a complete collection of preppy polo shirts and accessories with a rich history of design.